09 Nov 2018 --- Gelatin and collagen supplier Rousselot has introduced a new gelatin-based technology, coined SiMoGel, which the company says can speed up the gelation process of gummies to just five to ten minutes, depending on the type of mold used. 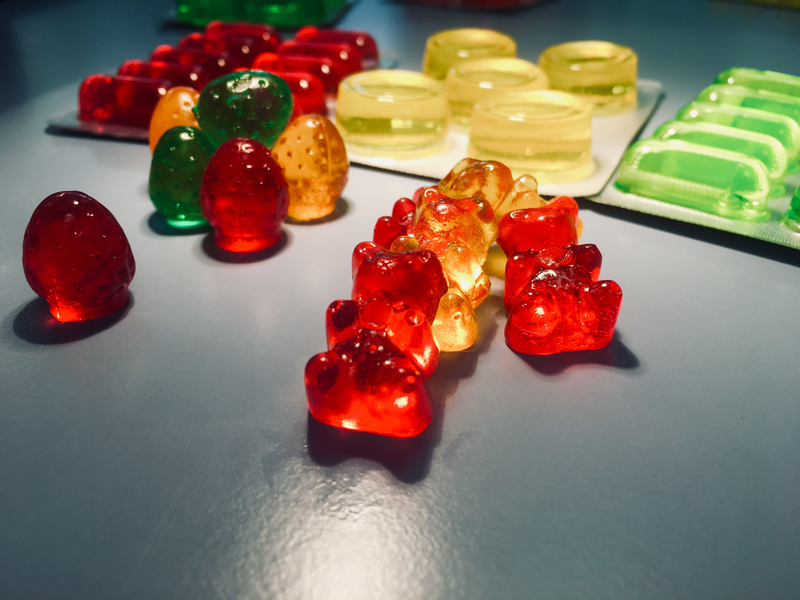 There are currently no other gelatin-based solutions available on the market that enable gummy gelation in such a short time, reports the company, which claims this is a new “record” for the gelation of gummies produced in a starchless environment. Traditional confectionery production, especially when it comes to jelly, has always relied heavily on starch moguls, a machine that makes shaped candies or candy centers from syrups or gels. With SiMoGel, the traditional starch moguls are replaced by silicone or blisters. This new solution offers confectionery manufacturers new benefits, according to Rousselot. are replaced by silicone or blisters. 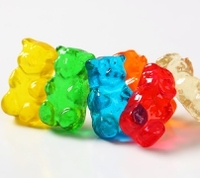 Designed to support confectioners and nutraceutical manufacturers in the production of gummies in a starchless environment, SiMoGel was first introduced at the end of 2017 and is made using porcine or bovine gelatin grades. Since then, Rousselot has worked on advancing its gelatin-based solution for starchless molding by testing it in an application in collaboration with British engineering company Baker Perkins, which offers process systems and equipment to the global confectionery and bakery industry. Starchless molding is becoming increasingly popular as it’s a clean and hygienic option, considerably speeding up the gelation process compared to the minimum of 24 hours usually needed within a starch depositing process. Speaking with FoodIngredientsFirst, Rousselot Product & Business Development Manager Dr. Jeff Daelman expands on the driving factors behind creating the new technology and the growing consumer demand for nutraceutical gummies. “For almost a 100 years, gummies have been shaped using starch molds, but with the advent of nutraceutical and medicinal gummies, the use and recycling of starch was becoming more difficult,” he notes. “Starchless molding in silicon or metal molds is a clean and hygienic manufacturing process for gummies. However, making gelatin gummies in these molds was not so straightforward. The molds, unlike starch trays, cannot be easily detached from the depositing machine and gelatin gummies require long gelation times of 24 to 48 hours before they can be processed further,” he says. With its gelation speed and its ability to enable 3D gummies with, for example, stripes or filling, Rousselot markets SiMoGel as a high performing solution for confectioners that want to achieve success in the functional gummies market. By using this process, cross-contamination can also be avoided (traces of vitamins, for example) from a production batch to another one. Shortening the drying time helps produce more in shorter times and with fewer resources, explains Dr. Daelman. “Currently starchless molding was limited because extremely long lines were needed to allow the product to gel. By reducing gelation times, manufacturers can reduce the footprint of new lines or increase the output of existing lines,” he says. “This is an important advantage for manufacturers who want to be competitive in their markets. Not only does Rousselot offer the shorter drying times but its application experts help manufacturers develop fortified gummies offering the best taste, texture and mouthfeel,” he continues. Rousselot is also seeking to respond to the shifting global trends toward healthier alternatives and cleaner labels. “All over the world, there is a growing interest in health and wellness. Within this trend, the fortified gummy segment is booming,” he claims. “Many kinds of delivery forms exist on the market, but gummies are certainly the most enjoyable ones. When it comes to giving some vitamins or specific nutrients to children, for example, tablets might not be the easiest and nicest solution. With gummies, bad taste can be hidden and the vitamin or fish oil intake will even become enjoyable,” Dr. Daelman adds. Confectionery Jellies Gummies Starch Simogel Gelation Rousselot Silicone Blisters Candy Nutraceutical 3D Drying.